Primary pupils in England’s poorest areas are four times more likely to be severely obese than in the wealthiest, according to the latest figures. Overall, the proportion of severely obese Year 6 pupils has risen from 3.6% in 2009-10 to 4.2% in 2017-18. Obese children are more likely to be bullied, stigmatised and have low self-esteem, Public Health England says. And they are more likely to stay overweight, raising their risk of heart disease, type-2 diabetes and cancer. The figures come from the National Child Measurement Programme, which tracks the height and weight of children in state primary schools in England. In Reception, in the most deprived areas, 12.5% of children are obese, compared with 5.7% of those in the richest areas. And by Year 6 these figures have risen to 26.8% and 11.7%. The proportion who are obese in Year 6 has risen from 20% in 2016-17 to 20.1% in 2017-18. 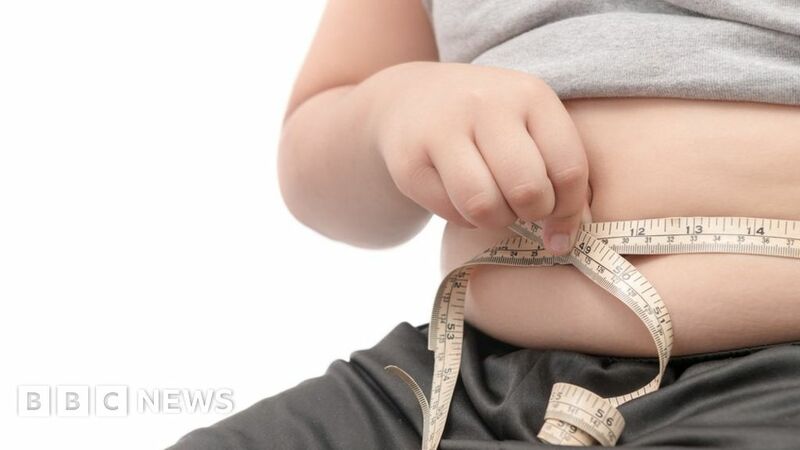 Boys are more likely to be obese than girls – 22.2% compared to 18% at the age of 10-11. In Reception, 2.4% are severely obese, while the proportion who are obese has stayed static at 9.5% – and they too are more likely to be boys. Three-quarters are a healthy weight – but this drops to two-thirds by Year 6. Dr Max Davie, officer for health promotion for the Royal College of Paediatrics and Child Health said the figures were “totally unacceptable”.